Priced to move fast! 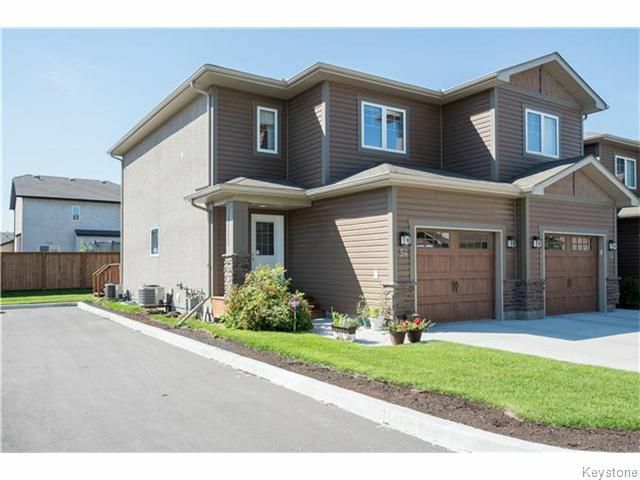 This newer condo complex is situated off St. Anne's Road, close to all amenities. This end unit has three nice sized bedrooms, two full bathrooms, and a main floor two piece bathroom. The open concept is perfect for entertaining. The kitchen island overlooks the living and dining areas. The kitchen features upgraded maple cabinets, granite counters, and stainless steel appliances which are included in the purchase. Such a bright and welcoming space! The garden doors off of the dining room lead you to the South West facing deck and green space. The master bedroom features closet organizers and an ensuite bathroom. Laundry is located on the second level, very convenient! The basement is finished and has wired in speakers and internet connections, and bright recessed lighting. The single attached garage is insulated and has plenty of storage space as well. Lots of visitor parking available just a stone throw away, no more parking down the street! Don't miss out!